Great soil is vital for the development of fruits and vegetables. The soil needs the proper nutrients and the proper pH level if you're going to be successful. 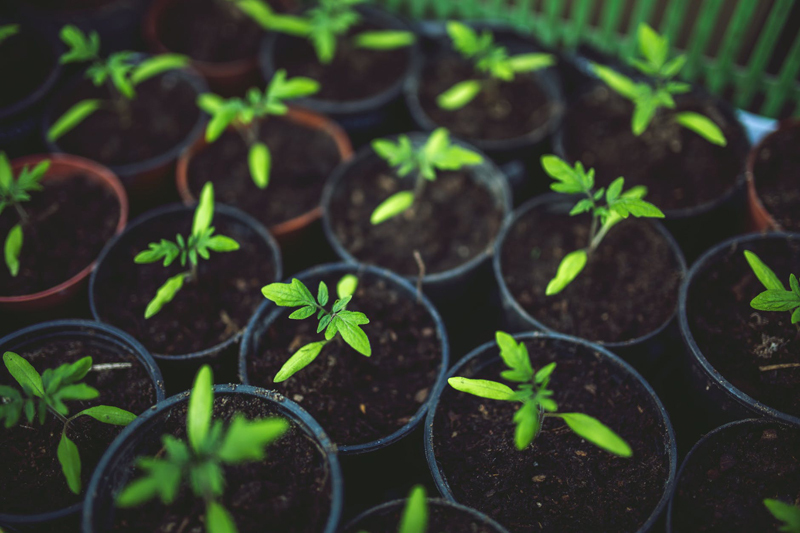 If you are a new gardener wanting to plant your first garden, the task may seem daunting, but it doesn't need to be. This is the first installment on how to have great garden soil. Gardening is a project that the entire family can do together. It relieves stress, builds confidence, provides healthy food, and saves you money. The best way to grow your food is by using natural or organic methods. The old saying, 'you are what you eat' is true. The food you buy in most grocery stores is full of chemicals, pesticides, artificial colors, flavors, and sweeteners. For the sake of our children and for our family's health, it is necessary to grow our own food because then we can control the methods used. In the summer or early fall before the leaves have dropped, pick out a location for your garden. First, the garden spot has to have six or more hours of sunlight per day. You'll want to find an area that not surrounded by trees, bushes, or shrubs for two reasons. They shade the garden, and they will absorb the moisture and nutrients that your vegetable plants need in order to grow. You will end up watering more frequently. Also, when you are choosing an area, make sure that there is a water hydrant nearby. Hauling water or even pulling a water hose over a long distance is hard work. The second most important thing in choosing a garden is to look at your landscape and find the weediest section growing. This is where you want to plant your first garden. Ok, I know most of you are saying, "What, but there are too many weeds." However, think of it this way. Ground where no weeds are growing means that the soil is almost dead. Few, if any nutrients are left and it will take a lot of work to get the soil replenished enough to support life. This is why I said that the more weeds you find growing in an area, the healthier the soil. You'll want to remove the weeds in your new garden plot. There are several ways to do this. You can pull them out. Oftentimes the weeds will break at the stems, leaving the roots in the soil. They will grow continue to grow again. It is also hard on your back. Another method is to burn them out, but if your area is in drought conditions, a fire can easily get away from you. You can dig the soil with a garden fork. This is the method I most often do when preparing my garden bed. Believe me, it is hard on the back, neck, arms . . . well, you get the picture. Another method is tilling or plowing, but the roots from the weeds remain in the soil. But, let's say you really want to be lazy, or you maybe you physically can't do any of the above-mentioned suggestions to prepare your ground. I have two more suggestions. You can hire someone to do it for you, which costs money or you can grab cardboard boxes. Remove the tape or staples and taken them apart. You can also use papers, an old carpet, or a tarp. The newspapers should be ten pages thick and do not use the glossy kind unless you don't mind picking them back up next spring, because they take a long time to decompose. Cover the ground with your chosen medium, remembering to place rocks, bricks, or dirt on top so that it stays where you put it. When using boxes or newspaper, overlap them by 6 inches. Water them until they are thoroughly soaked. This keeps them on the soil, and not flying away in the wind. Next spring, when it is time to plant, remove the tarp, or carpet because they won't decompose into the soil. The boxes and newspapers will be decomposing, so you can leave them in place. Underneath the covering, you'll find that the weeds have died.